There are currently 93,351 users on this website. This is one of several coins from my late uncle's collection that has been in my family for several generations that will be for sale pending appraisal and grading. This one is part of a four-piece set case. Am I right in thinking to store them still in the case? Any ideas/thoughts/advice is greatly appreciated. I apologize for the poor pics. I did not have a lot of time to setup when I took them. Wow! This is an extremely pricey coin! What are the other pieces in the set? It shows no signs of problems from being stored in the case so that shouldn't be a problem. You will need to have it authenticated however. Can you give us it's weight (in grams) and dimensions? If genuine, this one piece alone would likely be valued over $50,000. Your pics look good. It is my Aunt's wish to have all the coins appraised. Would this be the right move, or should they all be graded first? My advice would be to get good digital photos of all pieces including the case as soon as possible. 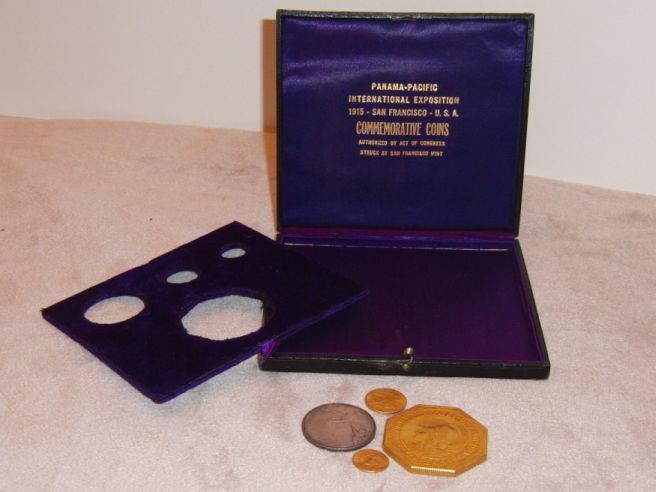 Next, be sure these coins are kept in a safe, fireproof location like a bank safe deposit box. After doing that, there are several major coin dealers in all parts of the U.S. This is not a set that should be appraised by a small town coin/pawn shop. If possible contact a major coin shop in a city near you and explain your situation without divulging your address. 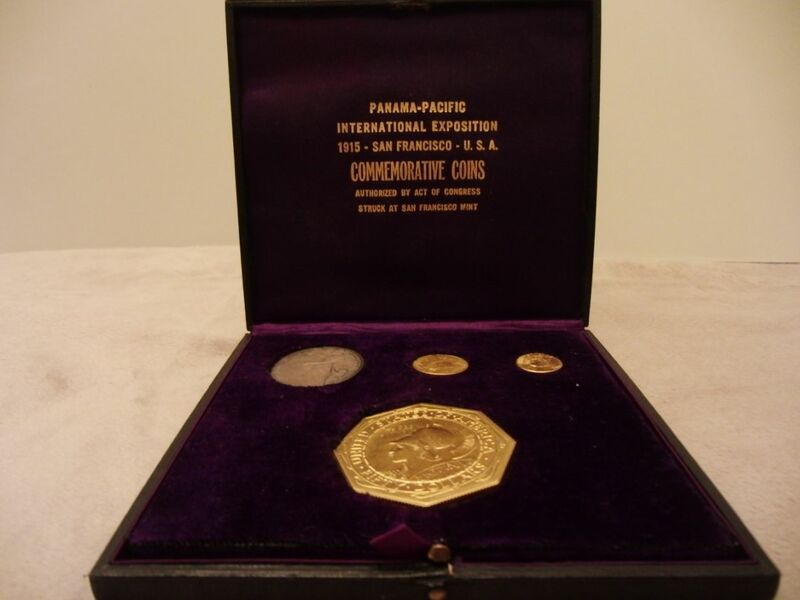 As biokemist noted, this set COULD be worth well over $100,000, even w/o the $50 Round. You should protect your location for safety reasons. So, don't hurry, but get some good photos, keep the coins locked up, and don't worry about having them graded just yet. I'm heading to a football game but will check back later. Thanks for your feedback. I did get all of the collection into a safe place after work today. Also, I will be making inquiries at dealers for appraisal next week. I really need to buy a decent shooting stand for the pics too. Believe it or not I did study some photography back in college but never remember doing any macro work. Have to get my lighting down too! Wow! This is pretty exciting. Please keep us posted on what you do with these and maybe post some pics of the other coins when you get a chance. Holy Cow Batman ...... that coin (along with it's round brother) is the Holy Grail of US Commemorative. In MS63 it's a $75,000 coin ..... double that if it is gem MS65. 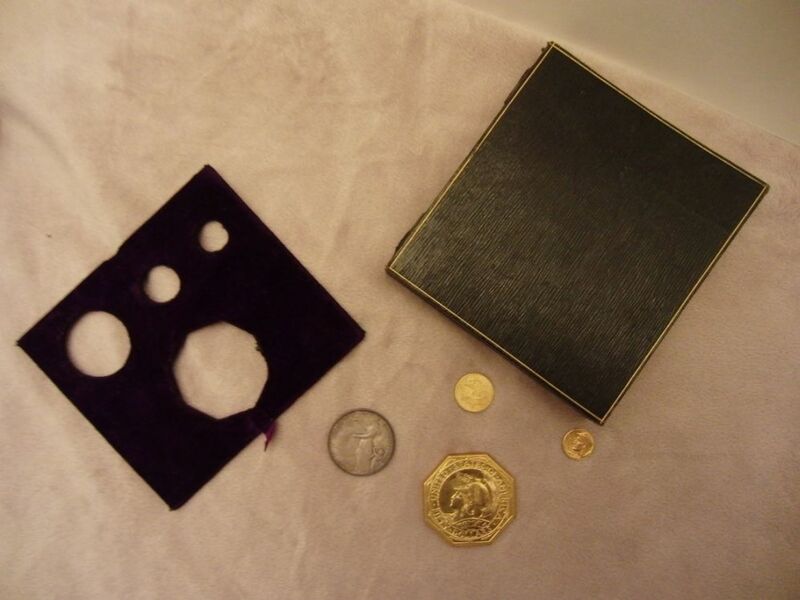 The 4-pieces set (coins you described above) with case was sold at the time for $100 ...... which was a good bit of money 95 years ago. 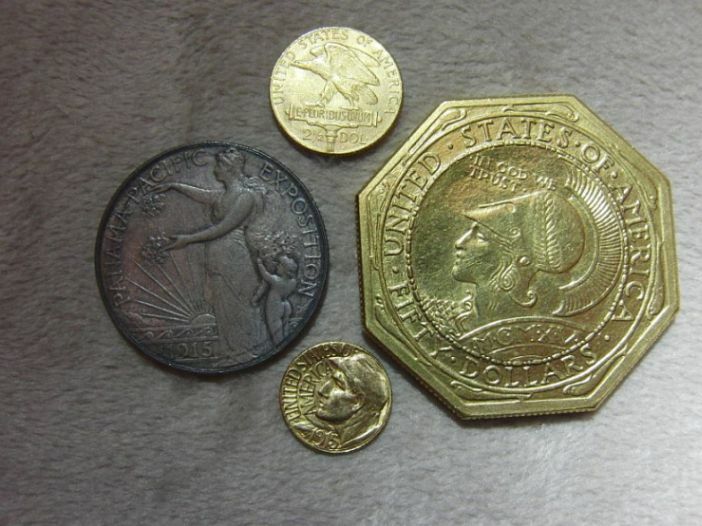 The 'net distribution' of the octagonal $50 gold was only 645 coins ...... and many of these were sold individually ...... making it quite possible that you have possession of a very rare complete 4-coin set with case. I've never heard of an original set (with case) appearing on the market. Sooooo ... my advise is to leave them just as they are in the case ..... snap some clear digital photos of the coins/case and put the lot away in a safety box where they are protected. I can't offer any advise on who is best to appraise such a rarity ..... stop by your local bookseller and purchase a current copy of Coin World ...... there you will find ads for the big dealers who could do this for you (for a fee). We would enjoy seeing photos when you get them of the entire set. Whatever you do ..... take your time ..... you have possession of what is possibly a true rarity and worth lost of $$$$. 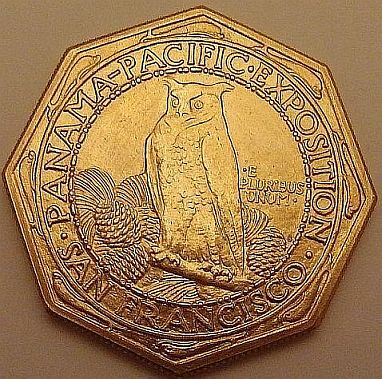 I went to a viewing day at an auction in Sydney many years ago looking for ancients, but there was a $50 octagonal and round pair up for auction, so I viewed them for myself knowing that would probably be the first and last time that I would be able to examine such coins very closely. You notice the massive feel of a 2 ounce gold coin! 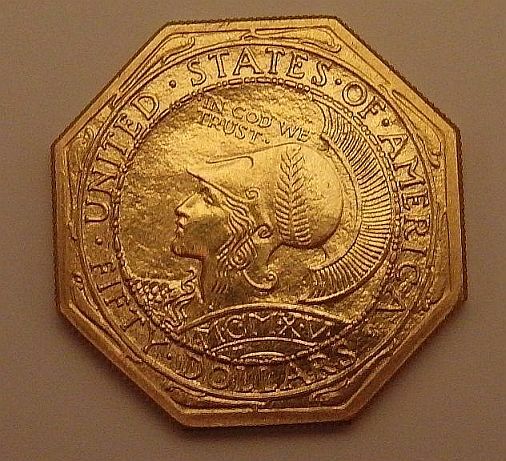 Incidentally, how many folks on this Forum may be aware that the US Mint prepared a design for a gold $100 Union? No coins were struck. I will taking more pics as soon as I get a chance of this set and the rest of the collection. Thanks again for all your advice. I agree with all that has been said so far but I would add make sure you get more than one appraisal from reputable dealers. and make sure they know your are going to be asking for other opinions. Most dealers are honest but I would hate for you to get caught out but one that was not so. Fantastic to have the whole set still in the case. 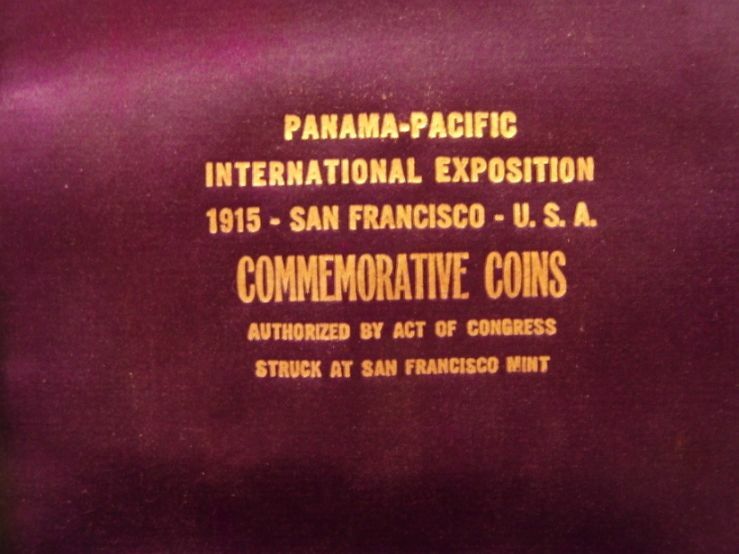 You may want to contact Stacks or Heritage to appraise these coins. Sorry it took so long. Here are a few pics of the set. whatever you do dont clean them or touch the faces, always wear gloves. They look real and are worth a fortune. Wow! What a set. I absolutely love the designs. Be very careful with them.